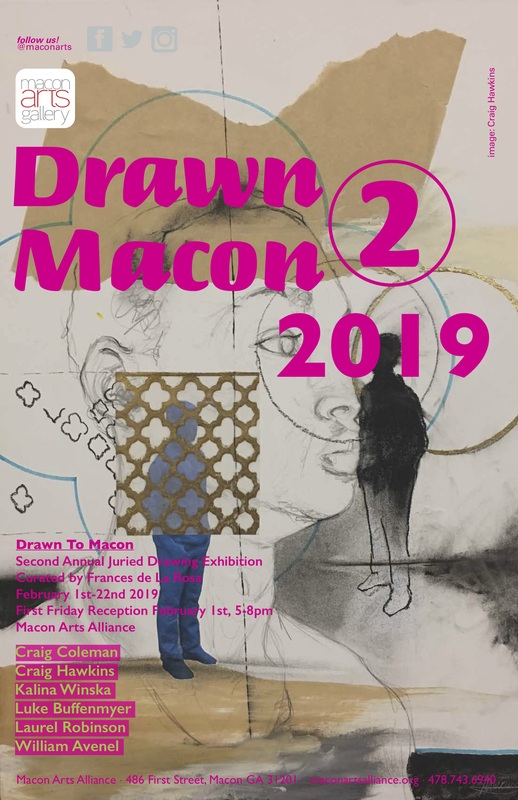 Drawn to Macon 2 features a compilation of submitted original works guest curated by Frances de La Rosa. Meet featured artists Craig Coleman, Craig Hawkins, Kalina Winska, Luke Buffenmeyer, Laurel Robinson and William Avenel on February 1st from 5-8 PM at Macon Arts Gallery. An Opening Reception sponsored by Spa Medical, Vein Specialists of the South and Rosenberg Financial will feature light refreshments and is free and open to the public. Exhibit on display February 1-22, 2019.